join us at the 2015 African Regional Summit. september 29-october 2 in nairobi, kenya. College of Prayer International campus leaders and guests from Central and East Africa will gather in Nairobi, Kenya September 29 - October 2 for an African Regional Summit. Rev. Fred Hartley, President , and Rev. Willy Muyabwa, Regional Director for Central and East Africa, will lead the summit. There will be high worship, biblical teaching, God-encountering prayer and Christ-exalting fellowship. Why should you attend the African Regional Summit? Learn the importance of your number one assignment ... to minister to The Lord. Embrace a lifestyle of encountering God's presence. Experience the power of corporately crying out for God to "show me Your glory!" Learn to walk in Kingdom authority. What should you expect at the African Regional Summit? Interaction - We discuss truth with each other and foster life-long relationships. Rev. 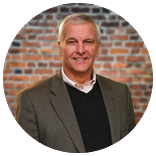 Fred Hartley pastors Lilburn Alliance Church in metro-Atlanta, where he has served for over 25 years. He founded the College of Prayer International in 1997, and has ministered all over the world. A prolific writer, Fred has written over 17 books including Prayer on Fire, God on Fire and his most recent, Church on Fire. Rev. Willy Muyabwa has served with the College of Prayer International 2009. He has planted over 100 campuses throughout Central and East Africa, pioneering many new countries. 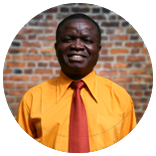 He also pastors a growing church in Niamey, Niger and oversees a Bible School. He is passionate about helping men and women serve Christ to their fullest capacity. Rate for African Attendees: $20 USD - Includes materials, meals* & lodging. Rate for U.S. Attendees: $30 USD - Includes materials and meals*. All attendees for the Summit will stay at the BTL Conference Centre. Upon making your reservations with our team, you will have a spot reserved at the conference centre. If you are traveling from outside of Kenya, you must register in advance so that you can receive a formal invitation to facilitate your Visa application process. Please contact Bishop Martin Warui (martinwarui09@gmail.com) or Rev. Willy Muyabwa (wmuyabwa@gmail.com) for an official invitation. Discover other events around the world.